Kenwood TR-7600 is a digitally synthesized high performance, 2 meter mobile transceiver. It features a four digit LED frequency display with memory. Transmit power may be set for 1 or 10 watts. Frequency range is 144 - 147.995 MHz. 6.3 x 2.375 x 9.2 inches 4 lbs. Requires 13.8 VDC at 3 Amps. 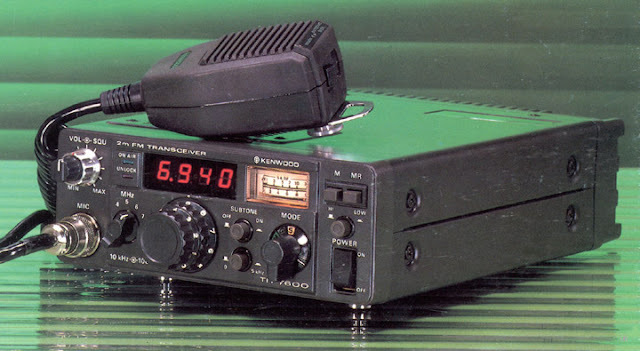 The Kenwood TR-7625 is the same, but with power output at 5 watts low and 25 watts high. Requires 13.8 VDC at 6 Amps.